Jacqueline Petty is a Health Communications Specialist for the U.S. Centers for Disease Control and Prevention (CDC). In this role, she translates highly complex scientific information into everyday language to help people all over the world to make informed decisions about their health. Jacqueline is an accredited, award-winning leader with fourteen years of communications experience in the media, veterinary, food and beverage, and travel industries. She has been actively involved in various professional organizations, including the Public Relations Society of America-Georgia Chapter, where she chaired both the awards and conference committees and served on the board of directors. Jacqueline graduated from Allegheny College with a dual bachelor’s degree in Psychology and Communication. She is currently pursuing a Master of Science Degree in Strategic Communication at Troy University. Jacqueline has a sincere passion for helping youth overcome barriers to their success, and regularly volunteers with three youth-focused organizations to make a difference in their lives. She is an active member of New Covenant Christian Ministries, where she volunteers with the Kids in Covenant ministry providing spiritual training to support children in developing a personal relationship with God. Jacqueline also serves as a mentor with Big Brothers Big Sisters of Metro Atlanta, and helps youth realize their full potential to succeed in life. Since 2008, Jacqueline has volunteered in various roles with The Enchanted Closet and supports the organization in increasing the self-awareness, self-esteem and self-sufficiency of girls. Carla J. Stafford is a native of Atlanta, GA. and a graduate of Clark Atlanta University where she majored in Mass Communications with a concentration in Radio/TV/Film. During her senior year she interned and was later employed by the Mayor’s Office of the City of Atlanta. 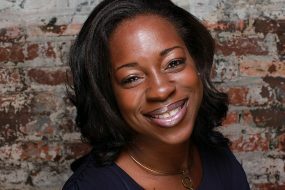 She has also freelanced on various television/film projects and was a part of the production crew for BET’s Comic View. 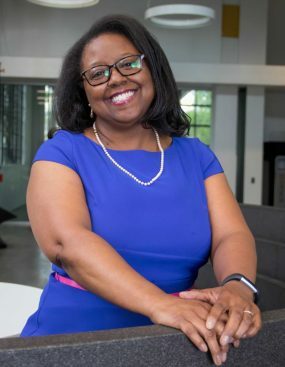 She has also received a Master’s degree of Science in Management from Troy State University and a paralegal certification from Emory University. As a Broadcast Specialist II with Turner Broadcasting her main responsibilities are coordinating transmissions for NBA TNT Overtime on NBA.com, NCAA.com, PGA.com and New media. She has worked in the communications industry for over 14 years. Eager to always keep learning and gaining new skills, Enchanted Closet has provided the opportunity to share her talents. In her downtime she runs a photography business and is a professional Samba dancer with performances throughout the southeast. She is also a charter member of Joy Chapter #137, Order of the Eastern Star where she has been active for over 13 years and has been a lead organizer for their annual homeless and back to school projects. Condus Shuman is a Nutrition Program Specialist with outstanding achievements that benefit students of Atlanta Public Schools. She has received recognition for the development and facilitation of the District’s Federal Eligibility Application Process for the Free and Reduced Meal Program. Condus also designs and develops programs for the involvement of school staff, students, parents, and community stakeholders for Atlanta Public Schools Nutrition Department. She serves as the liaison between the district, outreach community and governmental agencies to establish a positive working relationship that support student achievement. She was instrumental in the development and implementation of programs which promote student success and healthy schools by supporting wellness, good nutrition, and regular physical activity as a part of the total learning environment. This outstanding work received national recognition from First Lady Michelle Obama, Georgia Department of Education (GaDOE) and United States Department of Agriculture (USDA). Condus is a graduate of Clark Atlanta University receiving her Bachelor’s in Theatre Arts with a concentration in Children’s Theatre as well as a Certificate in Event Planning from Emory University. Her expertise in event planning and production for youth has given birth to Sweet Pea Productions, an event consulting firm that specializes in making every event a sweet memory. Condus is also serves as on the production team for the Battle of the DanceLines (BODL) dance competition, which highlights the top high school marching band dance lines in Metro Atlanta. At a young age, Condus found a love for helping others through service. Condus is a member of Order of the Eastern Star and takes pride in serving others. She has a passion for passing the torch of knowledge, culture, and exposure to the next generation. She is dedicated to investing in flourishing youth. Condus truly believes that an investment made in a girl is an investment made to the world. In her personal time, Condus enjoys shopping for herself and others, traveling domestically and internationally, and learning and experiencing new things. Jenifer Curtis is an attorney in the Global Contracts Department of UPS Supply Chain Solutions, Inc., where her responsibilities focus on customer contract engagements for UPS Global Logistics and Distribution. A native Atlantan, Jenifer is a proud graduate of Spelman College, where she received a Bachelor of Arts in Psychology. Jenifer went on to receive a Juris Doctor from the University of Georgia School of Law, where, among other positions, she served as a Student Advisor, a mentor with the Clarke County Mentor Program, and Senior Managing Editor of the Georgia Journal of International & Comparative Law. Jenifer also received a Master of Business Administration from the University of Georgia. Inspired by the many women who paved the way for her, Jenifer has long held a commitment to service and is especially passionate about helping and empowering women and young girls. 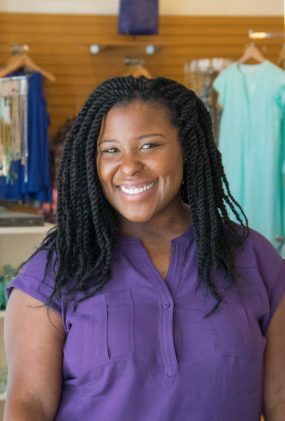 In addition to her service with Enchanted Closet, Jenifer is a mentor with the Sister2Sister Spelman Professional Mentoring Program and a member of the Georgia Association of Black Women Attorneys (GABWA) and the Georgia Association for Women Lawyers (GAWL). Rosalyn Fairley has been involved with The Enchanted Closet since 2003. Her involvement includes being the Prom Dress Drive Coordinator for her church, volunteer at Prom Dress Giveaway, and a member of both the Board of Directors and the Youth Empowerment Board. At the Prom Dress Giveaways, she saw the difference the organization made in the lives of young ladies and knew she wanted to be a part of it. Rosalyn Fairley is a graduate of the University of Alabama with a Bachelor’s Degree in Chemical Engineering and Master of Business Administration from Clark-Atlanta University. She has been employed by the U. S. Environmental Protection Agency as an Environmental Engineer. Rosalyn is an active member of the Butler Street CME Church where she has served on the Courtesy Guild, Budget Committee. the Special Projects Committee and President of the East-West Auxiliary Board. 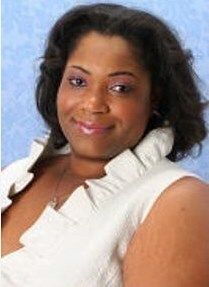 Rosalyn is a life time member of Alpha Kappa Alpha Sorority, Inc. In her twenty-five plus years in the Sorority, she has served on the chapter level as Parliamentarian, Sergeant at Arms, Treasurer, Chapter Auditor, and Vice President. She has been a presenter, convener and recorder at various Local, Regional and National meetings of the Sorority. Rosalyn is a member of the National and the Local Chapter of Alumni for the University of Alabama. 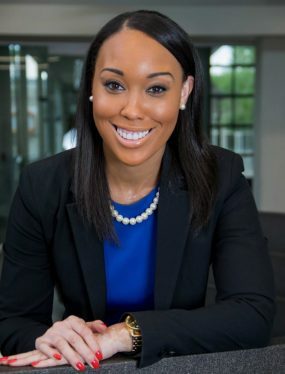 She, also, has been a member of the American Institute of Chemical Engineers, National Society of Black Engineers, Air and Waste Management Association and the National Black MBA Association. Rosalyn has volunteered at the Fox Theatre, National Black Arts Festival and with the Center Helping Obesity in Children End Successfully.